"Motorcycle Menace Makes Mercy Mobilized by Faithful Fans of Ben Roethlisberger"
Steelers quarterback Ben Roethlisberger , who won a Super Bowl in his second year as a starter, decided not to watch the pre-game show regarding the anticipated June 12, World Cup Match between U.S.A. and Czech-Republic! Rather, he was riding on his motorcycle without a helmet, license, and learners permit and sustained serious injuries during an accident in Pittsburgh at 11:15 a.m. He was rushed to Mercy Hospital of Pittsburgh where fans gathered to find out more regarding their injured quarterback. Roethlisberger had suffered injuries to his nose, jaw, teeth, two lacerations to his head, and hurt both of his knees As the surgeons were operating on Roethlisberger, faithful fans gathered outside Mercy Hospital to show their support. Edward Emery, a die hard Steeler fan who was working in Ohio rushed to Mercy Hospital when he heard about what happened to Roethlisberger. Fans addressed their dismay that Roethlisberger did not have his helmet on. “The motorcycle thing has been an ongoing situation with Ben. Terry [Bradshaw] was right. He should not ride his motorcycle without a helmet. I am a little upset but behind him 150%. Ben is the leader of our team. I am here to support him and the team. I happened to have a Ben jersey and put it on when I came. I represent wherever I go”, said Emery. 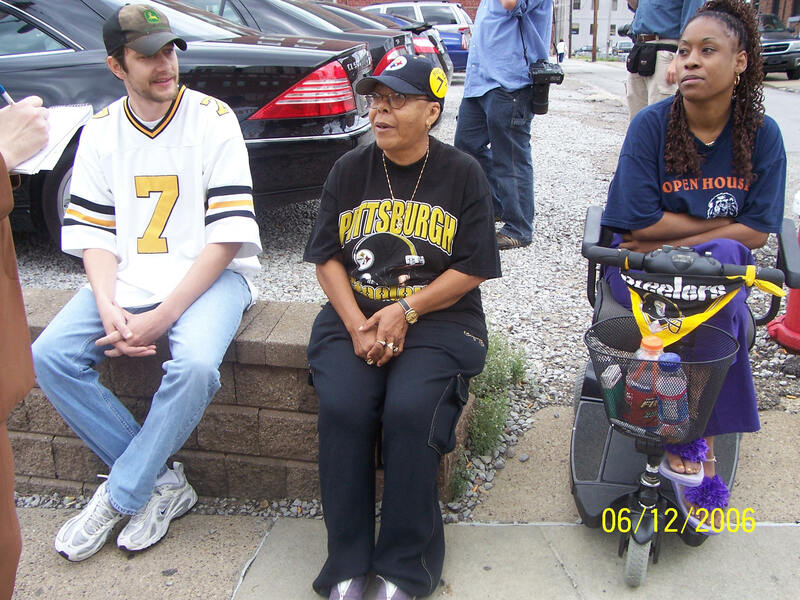 Loretta Clark, 35, who waited anxiously regarding Roethlisberger’s condition also wished Roethlisberger had worn a helmet. Instead she was also there to give support for Roethlisberger. Pastor Maurice Trent of Lighthouse Cathedral of Pittsburgh was home when a friend called him from church and told him what was going on regarding Roethlisberger. 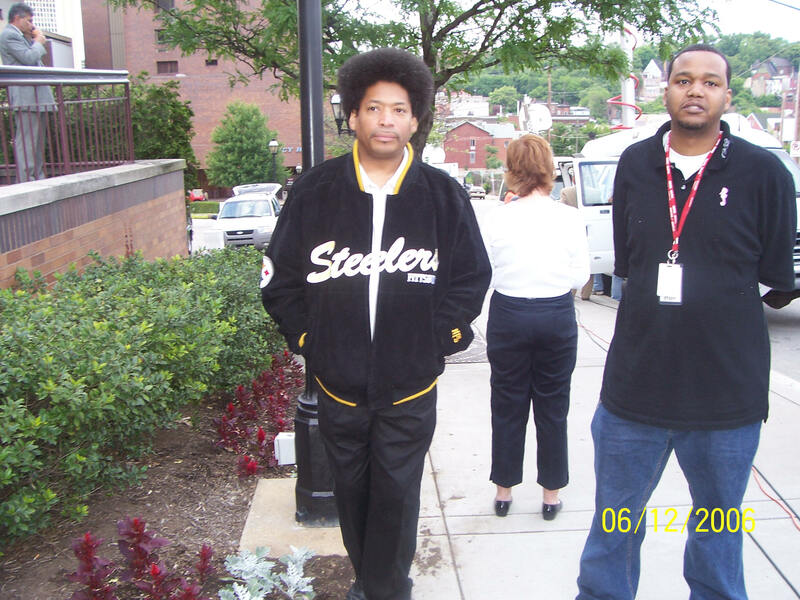 He immediately rushed over to Mercy Hospital and was there at 12:30 p.m. and weighed in on the motorcycle incident and what he would do if Roethlisberger took his help. “Well, you know there is a saying that says experience is your best teacher. A lot of times we learn through what we go through. The only thing I will be able to do is guide him on that. The Word clearly tells us about our Elders and how we are to draw wisdom from them”, said Trent. Watch Pastor Trent speak on experience! Juanita Clark, 63, and mother of Loretta Clark echoed Pastor Trent’s feelings with Emery. “He [Roethlisberger] is tough. He goes in and comes out. This is just a lesson for him. God is giving him a warning. He has to heed it and he will heed it”, said Clark. Watch more of Juanita Clark talk lovingly about Ben Roethlisberger. Nick Balzer, 33, did not believe Roethlisberger should have been forced to wear a helmet because that is his right. 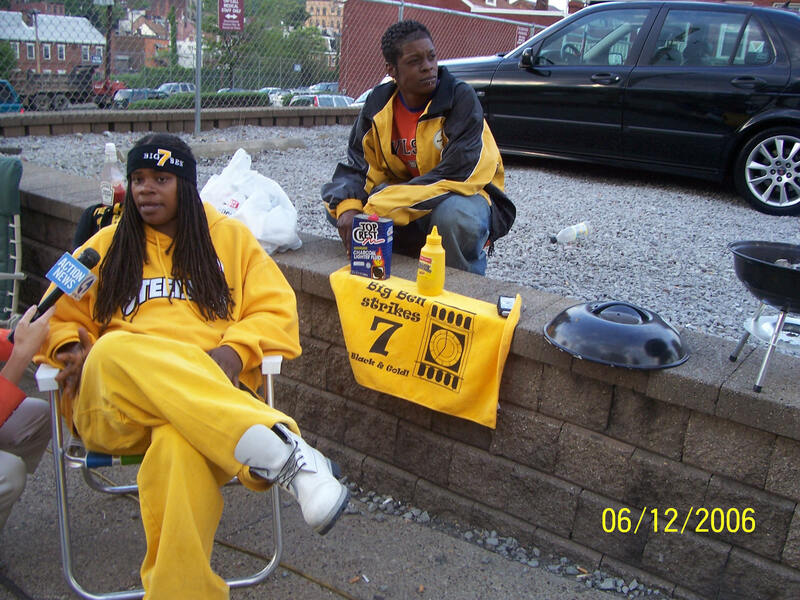 Nichol Mitchell, 35 and Nicole Trent, 32, both of the Hill District planned to stay outside Mercy Hospital until Roethlisberger leaves. Mitchell did not agree with Berza.